Gulielmus filius Johannes Shakespeare or William Shakespeare was the third child to be born to Mary Arden (1540-1608) and John Shakespeare (1530-1601) and also the eldest son of eight children. It is unsure of his birthday but it is celebrated on April 23, one thing that all resources seem to agree on is that the year was in 1564. He was christened on April 26 of that same year at the Holy Trinity of Stratford upon Avon which is in the vicinity of where he lives on Henley Street. His father’s major social decline in later years had a major effect on him. It is said that he attended the King’s New School in Stratford in 1553. The curriculum dictated by law in England in that era for the grammar schools were Latin, History and the Classics which would have included Acting and Theatre. He had to leave school at the age of thirteen because of his father financial difficulties and social standings. There were two periods in time that there was no record of what William was doing. The first was after he left school at that young age. It was said that he was a schoolmaster or a lawyer or that he had apprenticed at one time for his father. Also that he spent the time honing his skills in literacy, writing and acting. The second time was between the years 1585 and 1592 right before he emerged in the theatre scene. It was believed that while travelling and visiting theatres he mastered the craft of play write and perfected his acting skills. There is not much evidence of this as most was collected by word of mouth after his death. At age 18 William married Anne Hathaway (1556–1623) who was at the time 26 years old and an orphan. Anne was the eldest daughter of several children for Richard Hathaway. The Diocese of Worchester issued a marriage licence on November 26, 1582. Speculation is that the cause of marriage at such a young age for him was due to Anne’s pregnancy. Very soon after their marriage Anne gave birth to their first child Susanna (1583-1649) who was christened on May 26, 1583. Twins Judith (1585-1662) their second daughter and only son Hamnet (1585-1596) came 2 years later who were baptised on February 2, 1585. Much information is not there about Anne and the children after the birth of the twins except that at age 11 Hamnet died of an unknown cause. It’s not known when he began writing but by 1592 he was an established actor with several of his plays already on the London stage. Some of these include Henry VI, the Comedy of Errors and Tifus Andronicus. Most of his plays were staged by the Pembroke’s Men. They were popular and performed often for Queen Elizabeth. By 1953 he had caught the attention of the Earl of Southampton. In April 1593 Venus and Adonis was entered for publication and William had made his debut as a poet. He returned to the theatre in 1954 as a leading member of the Lord Chamberlain’s Men. It was during this time that he wrote plays like Romeo and Juliet, King and John and Love Labour’s Lost. 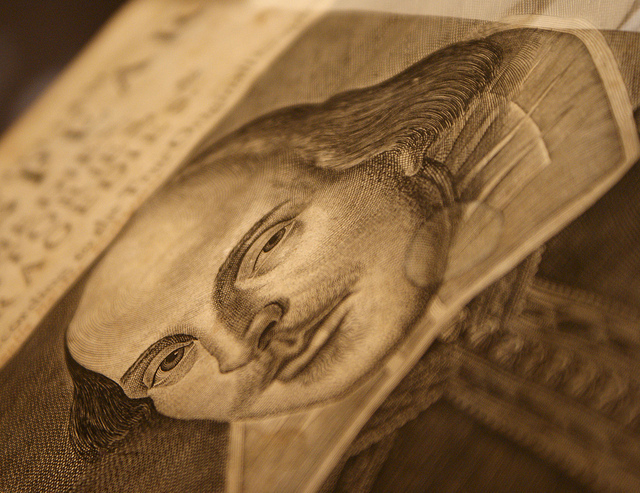 It was agreed that most of Shakespeare’s sonnets were written in the 1590s. Some were printed at this time as well, “A Lover’s Complaint” was one. He died on April 23, 1616, leaving his wife Anne who died several years later. Daughters Susanna had married John Hall and William had left most of his estate to her who was to pass it down to her first son. Judith wed to Thomas Quiney a vintner 8 weeks before his death.